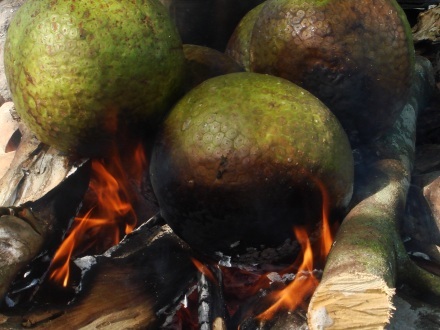 One of Jamaicans' favorite way to eat breadfruit is roasted. Roasted breadfruit is an excellent substitute for bread. This picture shows breadfruits being roasted on a wood fire. High resolution version of this image available for sale.